Nope, this was not done in Photoshop. 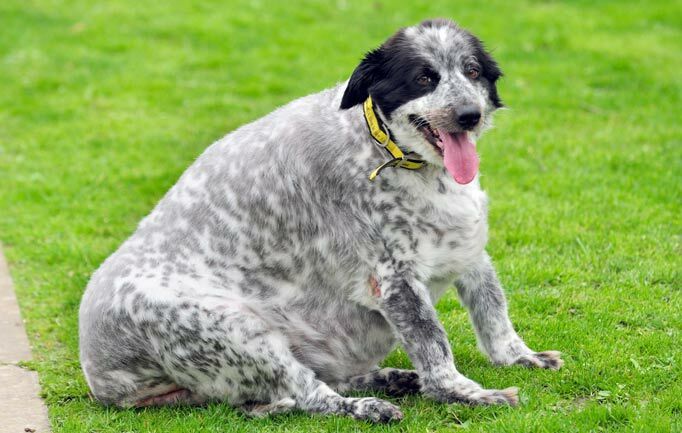 Her name is Cassie, and she weighed in at a whopping 128 pounds. Her owner fed her on chocolate, potato chips, and fish & chips. When she was asked about the dogs eating habits, she admitted that Cassie had never eaten dog food. She is supposed to look like the dog on the left. Poor Cassie is 3 times her normal weight. 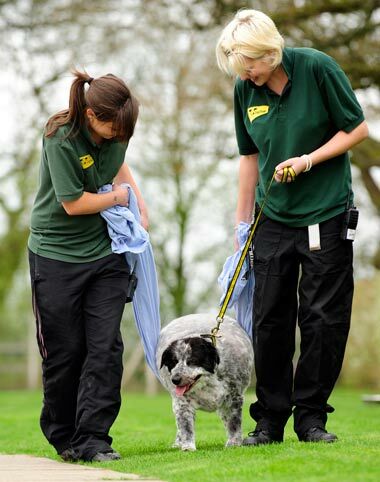 Cassie was brought to the Dog's Trust re-homing center in Kenilworth in the UK because her female owner fell ill and was hospitalized. The staff were horrified at the dogs condition and immediately started a diet and an exercise program. Unfortunately, any improvement is expected to take a while as she is covered in bed sores and is exhausted after only 3 or 4 minutes of walking. 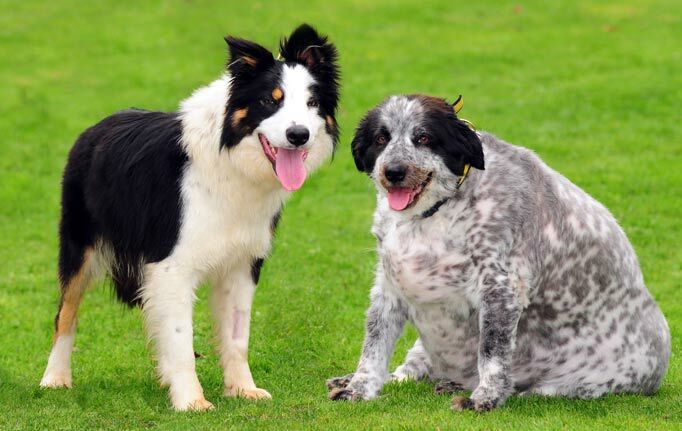 Dog's Trust manager Sandra Wilson said "unfortunately, when owners treat their pets as if they are humans and feed them the wrong foods, they're simply killing them with kindness…[she] is at risk for heart disease, diabetes, and arthritis so it needs to be a slow process." owner know how to feed a dog!!!!!!! Her owner is killing her!!!!!!!!!!!!!!!!!!!!!!!!!!!!!!!!!!!!! This poor pup - I hate to see pet owners who don't take care of their pets and allow this to happen. Our SlimDoggy Jack was only about 20lbs overweight when we rescued him and even that is too much! That's why we created our App - to help folks know what to feed, how much and how much to exercise their pets. poor cassie she used to look lovely but now she is just a dumping ground bad owner. If you really want to dress your Puppy dog necklace up like the princess she is, the ideal way is to forget regular dog collars and go for a Swarovski dog collar instead.